You CAN have LUSCIOUS lashes this winter with our July eyelash extension special! Treat yourself this winter with beautiful semi-permanent eyelash extensions – this simple procedure only takes about two hours and can completely transform your complexion – brightening up your day during the gloomy winter months. Touch-ups are only needed every couple of weeks, ensuring your eyelash extensions last! Full set for R495 – Save R225! Fill 1 or 2 Weeks for R150 – Save R70! Fill 3 or 4 Weeks for R250 – Save R90! 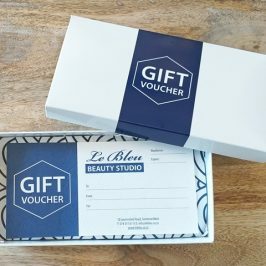 A gift voucher makes the perfect present!